Continuing to make her rounds this awards, Linda Cardellini attended the 2019 EE British Academy Film Awards at Royal Albert Hall in London this evening(February 2019. 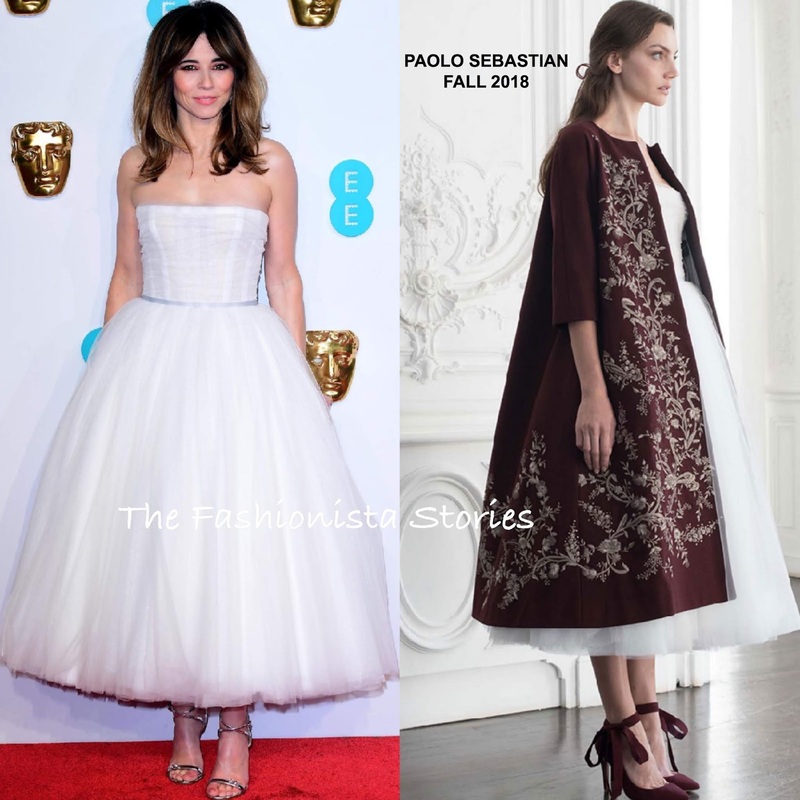 Working somewhat of a princess look, she wore a PAOLO SEBASTIAN FALL 2018 white strapless, tulle layered tea length dress. Although it is not visible, Linda's dress features white polka dots and a contrasting silver waistband. Her dress hit the bridal border but it works. I think the only issue here it the make-up. With such a delicate dress, she should have gone with a softer eye and ditched the rosy cheeks because the pink lip was enough. Also a sleeker hairstyle would have been complimentary. What do you think of Linda's look?